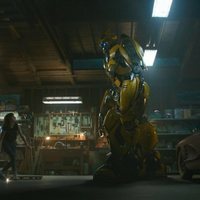 'Bumblebee' is the first 'Transformers's spin-off and it focuses on an Autobot, who has the ability to transform himself into a yellow Chevrolet Camaro. The film is set in 1987 and we could know more about this character who is trying to show the world his value. 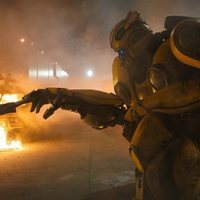 This Autobot looks for shelter in a garbage dump and Charlie will be the one who finds him. The teenager feels she doesn?t fit in this world, and she does not know what to do now that she is near to be 18 years old. That?s why she decides to look after the Autobot and fix him, although she finds out that this Chevrolote Camaro is not what she was thinking it was. Travis Knight directs this movie, while Michael Bay and Steven Spielberg are the producers of the film. Starring Hailee Steinfeld ('Begin Again') and John Cena ('Trainwreck'), among others. 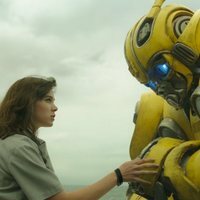 Write your own 'Bumblebee' review.